Barrett Landscaping was found in 2009 by Owner & President, Hobie Barrett. Hobie graduated Abraham Baldwin Agricultural College in 2003 with a degree in Turf Grass Management. After college, Hobie spent 3 years working for in golf course maintenance and construction before moving to residential and commercial landscaping. He decided to start Barrett Landscaping in 2009 with the goal to show that all tree, shrub an lawn care services are not alike. Since then, the company has grown to multiple landscaping crews and has served hundreds of residential and commercial clients in the Savannah market. 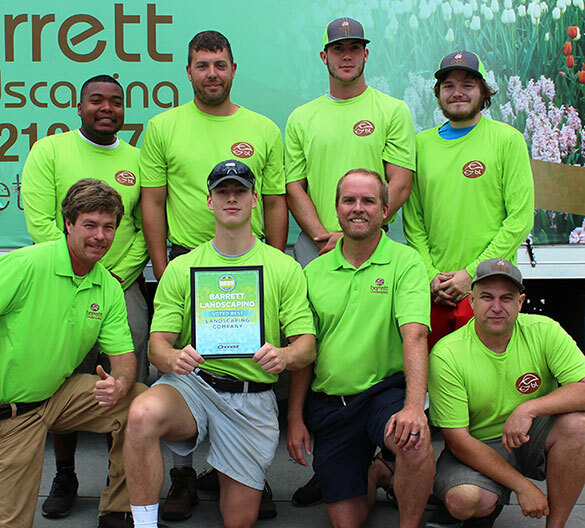 Through continuous education, industry training, and investment in its team, Barrett Landscaping strives to provide a superior service in Savannah. 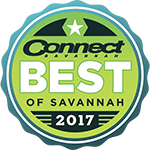 Our team was recently named Best Landscaping Company 2017 by Connect Savannah. Barrett Landscaping exists to provide superior landscaping services to residential and commercial property owners who take pride in the appearance of their landscape and community. We do this by having a knowledgeable and professional staff, always delivering on what we promise, remaining committed to continued growth, and providing services that exceed our clients’ expectations. Striving to be Savannah’s most knowledgeable, reliable and elite landscaping company.